They list it as 55cm c-c frame, but it is actually a 58DD (c-t) frame. DD for DynaDrive. Frame had the length of a 58cm frame, but is slightly lower, because of with the DD pedal the feet are located in the centre of the axle instead of on top the cage. So ideally for use with DD pedals. Another incorrect mention in the listing: The frame is not a result of a the cooperation of a Dutch framemaker with a Japanese tubing manufacturer. 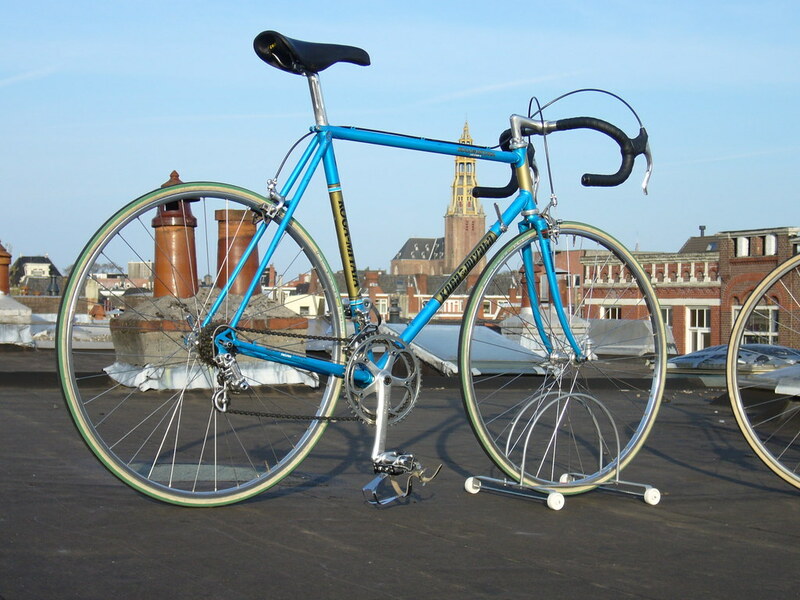 Frame is 100% Japan made by Miyata, using Dutch input for example directly from racing. Tubing is Tange #2 throughout the whole frame. These were the frames that succeeded the Gios Torino for the IJsboerke team and later Capri Sonne. 85 GBP - will it go for a bargain?